Do you think it’s possible to have great thyroid health without your thyroid gland? It’s a question that I get almost every single day. And the resounding answer is… Yes! I’ll show you how and why in just a second. Yet, the reality is that many hypothyroidism sufferers today are living without their thyroid gland, or at least a good portion of it. Thyroidectomy – where all or part of the thyroid gland is removed surgically. Radioactive iodine (RAI) treatment – where radioactive iodine is ingested and used to kill the thyroid gland. The end result of these two procedures is either no thyroid function or partial thyroid function. Now, it’s worth noting that hyper-thyroidism is oftentimes misdiagnosed today, particularly with Hashimoto’s thyroiditis causing many thyroid sufferers to undergo RAI treatment unnecessarily. The important thing to understand here is that even if you have no thyroid gland, or it has been permanently damaged, everything we teach still applies 100%. And you can still achieve perfect thyroid health and live a completely happy and healthy life, just like any other hypothyroidism sufferer. No Thyroid Gland? No Problem. 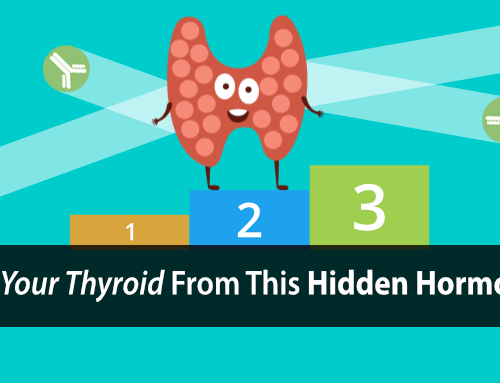 The truth is you don’t need your thyroid gland to regulate your thyroid health. …but the same goes for just about all hypothyroidism sufferers out there, making you not much different. The only real difference is that you will need to supplement the right thyroid hormone to the degree that you cannot produce it. I’ll explain what I mean by the “right thyroid hormone” in a second. But it’s important to understand that your thyroid health involves far more than just your thyroid gland. More importantly, it involves your entire Thyroid Hormone Pathway. And your thyroid gland is just one single part of this very important pathway. 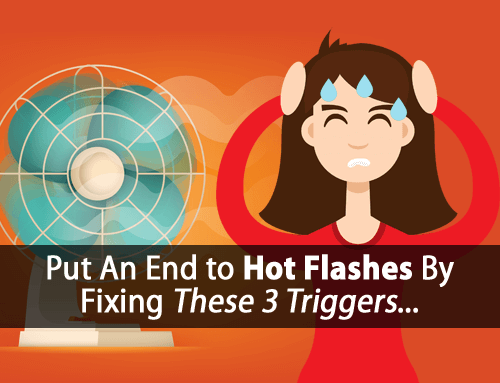 (Note: I cover your Thyroid Hormone Pathway in more detail in this article on “How We Overcome Hypothyroidism When All Else Fails”). 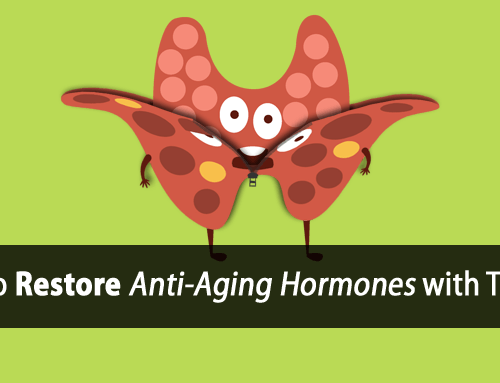 In fact, supplementing thyroid hormone is the easy part. Yet, supplementing thyroid hormone alone doesn’t ensure proper thyroid health. You still have to get that thyroid hormone to your cells. And this is a problem for all hypothyroidism sufferers. You’re simply handed a thyroid prescription and sent on your way while your body isn’t able to make use of the medication because it’s not getting to your cells. 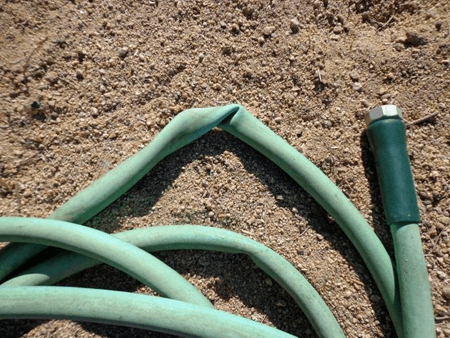 …no matter how much water you try to force through, it’s blocked and no water can come out. Eventually your garden begins to wither away. … no matter how much you take, if your Thyroid Hormone Pathway is blocked then it can’t get to your cells and it won’t do you much good. Unfortunately when it comes to thyroidectomy or RAI treatment, doctors are really dropping the ball and doing a major disservice to their patients. Most doctors continue to prescribe T4-Only (inactive thyroid hormone) medications like Synthroid or the generic levothyroxine, which is very unnatural. Your thyroid gland naturally produces T3, although in lesser amounts than the inactive T4 it produces. But the T3 it does produce is very important for a number of reasons. One of which is to support peripheral organ function. For example, your liver needs this T3 to energize and do its job to produce the larger amounts of T3 that are necessary to support every cell of your body. Supplementing T4 alone tends to suppress your liver’s ability to produce adequate T3. 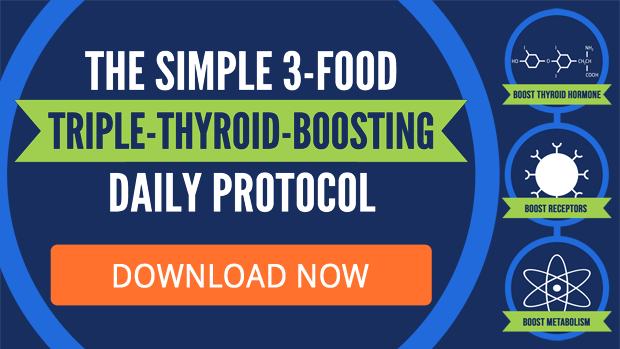 This is why it’s important to supplement thyroid hormone in the proper rations of T3 to T4 (around 1 to 4) which more closely mimics what your thyroid gland would naturally produce. And hopefully that makes sense. It’s like having an artificial heart. You would want the artificial heart to mimic a real heart, right? Otherwise, there could be dire consequences. Well, the same goes for your thyroid. So, if you don’t have a thyroid, don’t despair. With the right thyroid supplement or medication and focus on fixing your Thyroid Hormone Pathway, you too can live a happy, healthy, and normal life. Just keep following what we teach because everything still applies 100%. I am so HAPPY to see this article. I am one those persons who was misdiagnosed for years and then at my doctor’s recommendation had RAI and my world basically fell apart. I have been trying unsuccessfully for a year and a half to get my thyroid numbers up and to feel well. Tom, you don’t tell us how to get T3 if we take Levo due to RAI. I understand following your practices here to move T3 and T4 through the thyroid pathway but if we’re not getting T3 in our meds, where do we get it? Is there a medication other than the standard Synthoid & Levo T4 meds to provide this? Hi Daniela, the best place to start is by working with your doctor to find a more appropriate medication. Hi Tom. Could you elaborate on the other “T” hormones like T2 etc? What are the roles of these and why are they never mentioned or discussed by anyone? Dont those other hormones also have a role to play or is it only T3 and 4 that counts? I had a partial thyroidectomy in 1987 and was placed on 1.25 mgs or mcgs Synthroid. Since that time my dosage has been gradually lowered and I am now on 88 mcgs every other day. In 2014, I developed a cyst on my right lobe and a nodule on my left lobe, shown on a scan of my neck area. On 10/14/14, I saw an Endocrinologist who had blood work and the scan done. Free T4 levels were 1.15, TSH 3.74 (Please note that TSH level one month prior was 0.96), and T3 Total 1.77. Several months prior to my visit to the Endocrinologist, I went to my PCP for routine bloodwork and was told my levels were high and my Synthroid dosage was lowered from 100 mcg to 88 daily. I began almost immediately experiencing adverse symptoms. My hair fell out, my finger and toenails began literally coming off, at times peeling away in layers like an onion skin is peeled away. I have had skin rashes and dry skin, severe itching, alternating chills to feeling hot and sweating profusely, fatigue, insomnia, bouts of either diarrhea or constipation. Before I never perspired, even when doing outside work in the summertime in hottest weather. The following are my Tsh levels and dates per Endocrinologist report: 10/14/14 – 3.74, 9/8/14 – 0.96, 06/09/14 – 0.96, 06/12/13 – 1.00, 11/7/12 – 0.10 (L), 12/2/11 – 1.01. I don’t have records of my previous T3 or free T4 levels prior to 10/14/14. I asked for them to be mailed to me but never received them. I have continued to see my PCP at six month intervals for routine bloodwork and followup. Each time I’ve been told my levels were fine and to continue the 88 mcgs Synthroid every other day which I have done. I have taken extra vitamin supplements suggested by my hair professional that should have helped with my hair loss but, so far, my hair has not grown back and I’ve seen no improvement in nails, skin or hair loss. At my last visit, my PCP said that he nor the Endocrinologist felt my hair loss was due to my thyroid. I saw an ENT specialist one year ago but he only suggested a biopsy of the cyst and nodule but nothing more. He said thyroid issues were very difficult to diagnose and treat. I am so discouraged. Prior to the change in my Synthroid dosage, I had beautiful, fast growing, thick, healthy hair, full of body and also had no problems with nails or skin. I have lost approximately 20 pounds. I do experience pain in my neck area especially when I do anything strenuous and have a non-productive cough. I also am getting choked much more easily, at times losing my breath, so swallowing has become and issue as well. At times my tongue will feel thick. I’ve explained all these symptoms to my PCP, the Endocrinologist and the ENT but was just dismissed as “something I had to live with” and told to continue on Synthroid as prescribed. Please can you advise me on any other route I can go to get help?? Any advice would be so appreciated. It has been almost two years this summer and I am obviously discouraged. Thank you. My dr told me that only 5-20% of people need t3. She even let me try it, and it didn’t make a big enough difference for me to continue using it. And to answer an earlier question, the drugs name that provides t3(or at least one of them) is cytomel. Hi Ron, levothyroxine is a t4 only medication which is likely a big part of why it’s causing problems for you. 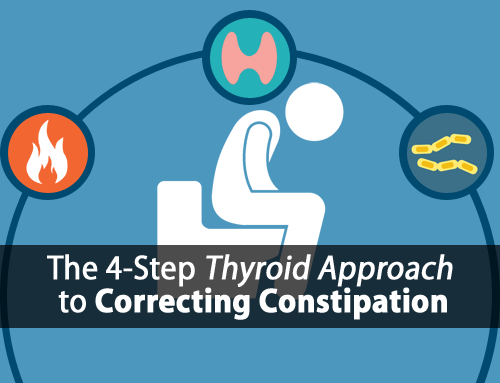 Your thyroid gland produces both T4 and T3 so in cases where the thyroid gland is physically unable to produce adequate thyroid hormone, using a T3/T4 combination medication becomes increasingly important. Hi Rachel, that’s great to hear and thanks for sharing! I took Synthroid and felt like a zombie after RAI. Then the doc put me on Synthroid with Cytomel (T3). Still did not feel good. Now I take Armour Thyroid and feel fine. Hi Peter, I don’t see that happening but there are other brands of desiccated thyroid USP available such as Nature-throid and Westhroid. That “Armour is going to fold” crap is just that, crap! Armour is not going to stop production, but it has gone up in price astronomically! That rumor was put out, no doubt, by some Big Pharm folks, because so many people are changing to it! Cuts the bottom line of THEIR products. Since the price change, I switched to Nature-Thyroid….works almost as well….I had to up it a little. I do follow Tom’s oj and salt protocol, along with most of the rest of his regime….except for coffee….just can’t stomach it…tastes yucky. Tom Hayes….who is paying who? TELL your physician you want to change to some t3 meds…and if he won’t do it, you can order t3-t4 meds online without a prescription…tell him/her that, too. If doc won’t work with you for your best health, research other health pros that WILL. Many offer online consultations…..go for it!